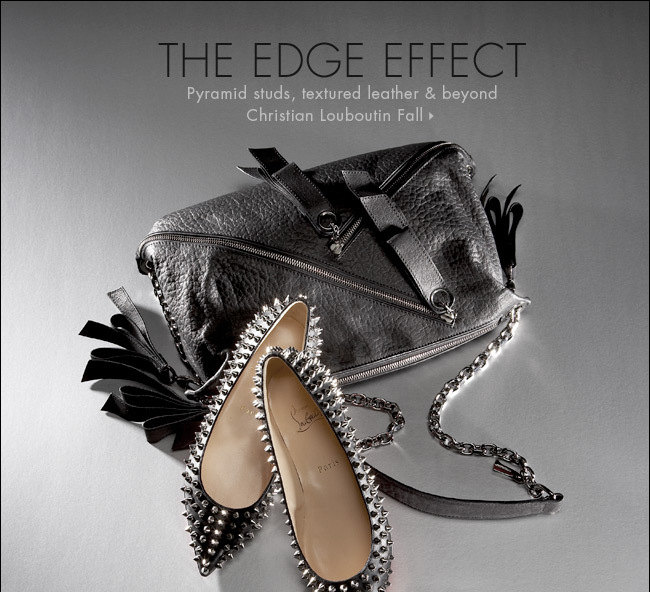 Learn more about Christian Louboutin here on Apparel Search or visit the Christian Louboutin website. D&G Fall at Neiman Marcus June 2010 Apparel Search really likes the contrast in color between the black lace inset blouse and the electrifying hue of the simple pencil skirt silhouette. See what other D&G fall styles and colors are avaiable at Neiman Marcus. Belle by Sigerson Morrison at Neiman Marcus an Edgier Collection What do you think of this golden color shoe pictured above? It is a Lattice Strappy Espadrille Sandal. Radiating lines and curves form a cool optical effect in leather or suede. Thin straps run diagonally from scooped vamp.